Atmosphere and Environment XII is a product of the mature style of Louise Nevelson, one of the most influential artists of the decades following World War II. 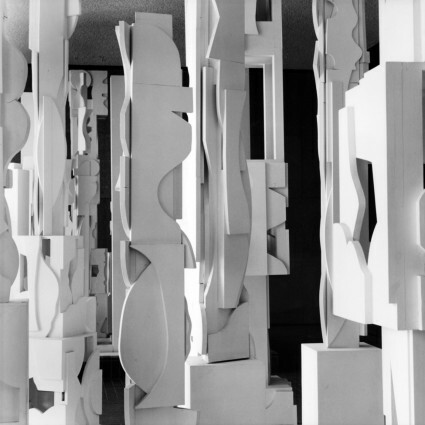 In the late 1950s, Nevelson conceived of wooden collage “environments,” wall-like sculptures painted entirely in one color and incorporating a myriad of abstract forms. Her interest in theater influenced both her concept of sculpture-as-environment and her use of vertical structures resembling stage sets. Within the cubes are additional geometrical shapes, and the entire openwork composition seems to echo the landscape of a modern city. 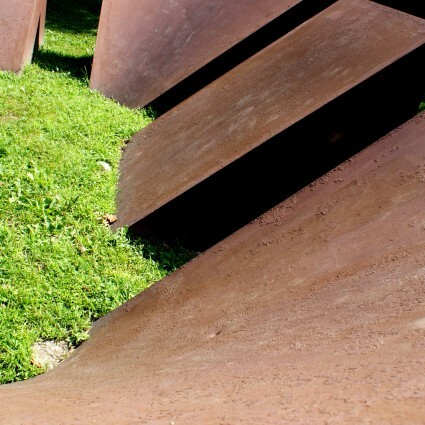 Made of 18,000 pounds of Cor-Ten steel, which gradually weathers to form its own patina, the sculpture consists of six columns of open rectangular cubes bolted together. Within the cubes are additional geometrical shapes, and the entire openwork composition seems to echo the landscape of a modern city. 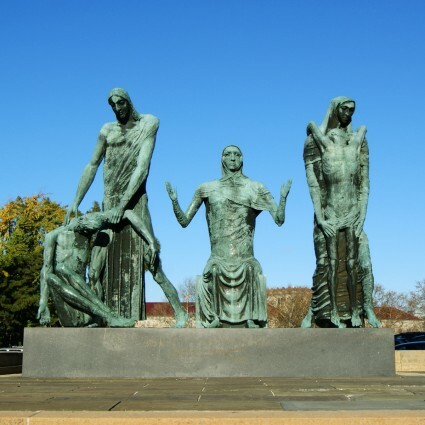 After exhibitions in France and New York, the sculpture was purchased by the Fairmount Park Art Association (now the Association for Public Art) in 1971 and installed at its present site in 1973. Other sculptures in the Atmosphere and Environment series are located at the Frederick Meijer Gardens and Sculpture Park, Princeton University, Yale University Art Gallery, and Scottsdale, AZ. 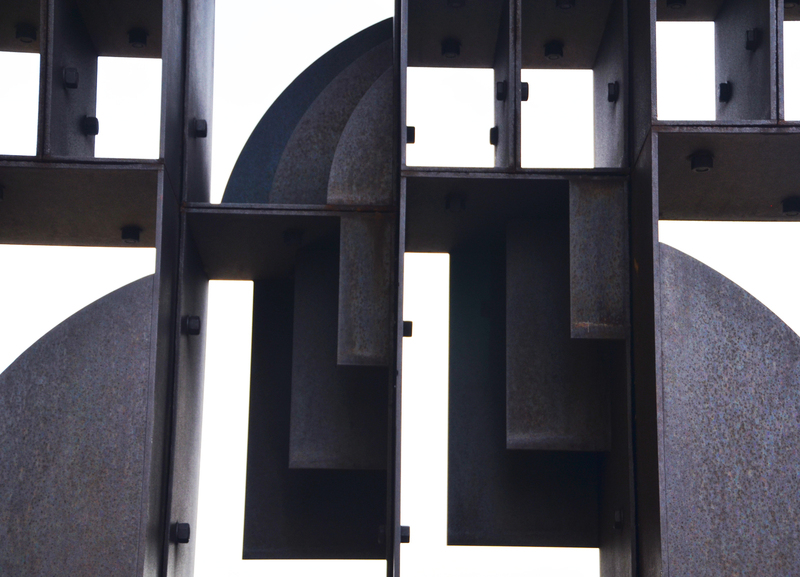 Another example of Nevelson’s work in Philadelphia is Bicentennial Dawn (1976) at the James A. Byrne Federal Courthouse (interior). 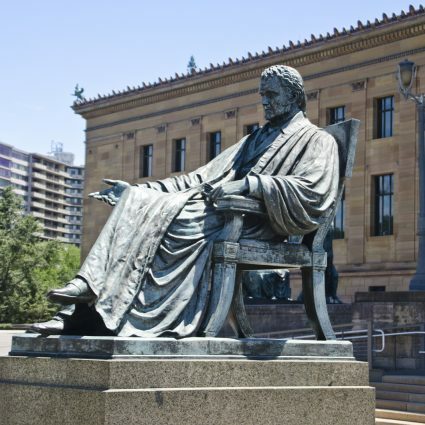 Atmosphere and Environment XII underwent comprehensive conservation treatment (completed in 2007) by the Conservation Department of the Philadelphia Museum of Art in cooperation with the Association for Public Art, with support from the federal Save America’s Treasures program, the Getty Foundation, and the Locks Foundation.